The head of the Smithsonian’s Asian Pacific American Center recounts her own family’s experience in the U.S.
Lisa Sasaki understands the topic of immigration from both personal and professional perspectives. 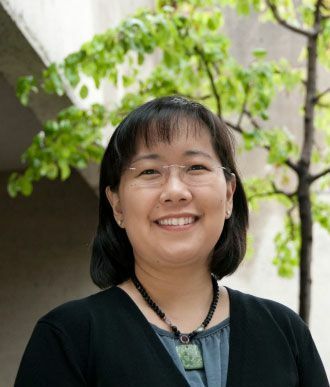 The Colorado native is not simply a fourth-generation American whose family came from Japan and who still remember the forced relocation and internment in the United States during World War II; she is also director of the Smithsonian’s Asian Pacific American Center, which highlights the stories, cultures, and shared histories of Americans with Asian Pacific heritage like herself. Sasaki’s passion for community involvement and cultural immersion spreads far beyond the museum world. Before joining the Smithsonian, she was director of audience and civic engagement at California’s interdisciplinary Oakland Museum, which brings together the sciences, history, and art in order to provide a well-rounded understanding of the state. She is passionate about diversity within communities, believing that excavating stories that otherwise may remain buried within the historical record can only deepen and enrich Americans’ appreciation and understanding of their own country — and keep them from repeating past mistakes. Sasaki spoke with Smithsonian Second Opinion about her own experiences, what inspires immigrants to come to the United States, and the questions that every American should ask themselves about immigration in America. This interview has been condensed and edited for clarity. What brings people to the United States? What brings immigrants to the United States is the premise that has been bringing immigrants to the United States since before it was a country itself, which is the idea of a land of opportunity where you can change your circumstances and that you can be able to better your financial, social, economic, cultural well-being in the process. It is the very promise that’s written on the Statue of Liberty. It’s also written into our founding documents as a democracy. I think of many immigrants throughout American history who are coming from places that repress innovation, that repress freethinking, that repress all of those rights that we as Americans now sometimes take for granted. There are many places where it’s not safe to actually express a dissenting point of view, where you can become jailed, or that there would be other consequences to speak freely. There are many things that are built into our Constitution and Bill of Rights that are appealing to those who don’t have those same guarantees and opportunities within their own country. Is that still possible, do you think? Is there still enough movement between social classes in the United States that it’s possible for a penniless immigrant to make good? Or are we caught up in a cycle of alternately demonizing and exploiting vulnerable newcomers to the country? Whether you look at indentured servitude of Irish immigrants, poor working conditions in factories at the turn of the century, Chinese, Japanese, Filipino workers coming over and working on railroads or in plantations, that seems to be the starting part of the cycle. The other part of the cycle then starts to be, what happens when the population starts to do their work a little too well? When more and more of that cheap labor is enticed, imported, or comes over of their own free will in order to take advantage of those opportunities? The next part of the cycle always seems to be a pushback, a resentment that is then built under the premise that that is somehow taking away American jobs or American resources, often forgetting that the reason those immigrants come is to occupy jobs that nobody wanted, or that nobody wanted to do for the pay that was given. We start to then demonize that population, which causes a reduction of workforce, which then causes us to go out and recruit or look for another source of cheap labor. That’s where you start to see the cycle then, and we see that repeated again and again. As a result, you see the emergence of all of these things like model minorities, and you see Japanese-Americans in particular being held up as examples of successful assimilation. What I have to say is, it’s not successful when you force people to do that. How does your personal experience reflect the history of immigration overall? For me, as a fourth-generation American who has never gone to Japan, has never lived in Japan, I have an appreciation for my family’s background — but I consider myself American in culture as well as in nationality. Is it possible for us to retain, or to allow immigrants to retain their sense of identity without asking them to give it up? I desperately hope that that will be the case, because I wouldn’t want any other family, or any other American, to have to go through what my family went through, to feel that in order to prove that they were American enough that they were forced to amputate a part of themselves. In my family’s history, and because of circumstances beyond their control, especially related to what happened during World War II, they were forced to make a choice between their identity as Americans, and their connection to their culture, to culture in Japan. Sadly, that was the case for every family of Japanese ancestry on the West Coast who were in the area affected by Executive Order 9066. That was something that every single one of them, 120,000 people, were forced to do. It used to be that many ethnic groups only lived within ethnic enclaves in cities: Chinatown, Japan towns, Korea towns and they never had the opportunity to be able to meet with and get to know others outside of that community. As a result, when legislation or when actions occurred that only affected the community, it became really easy for mainstream America to turn away and to not say something. The Japanese-American incarceration during World War II is a great example of that — although there were people who definitely tried to say something when their neighbors were taken away. I think now we are much more integrated with one another. We know more people, we have connections across the country, we know of people who are directly being impacted by this, we know if families are being torn apart. Therefore, it’s really important that we use that as a way to be able to not look away when we start to see things going the way that they’re currently going. How to break that cycle is difficult because what we need to do as a society is really make a fundamental choice to say: is our lifestyle, are the products we’re getting, the conveniences we have as a byproduct of that process, is that worth the human capital that is being expended on the other side of it? After decades of education — things like the Civil Rights Movement, the Ethnic Studies Movement, culturally specific museums that have gone and allowed groups to be able to tell their own stories and mainstream museums are able to allow other voices other than the dominant narrative to be heard — I think we’re so much closer to understanding that everybody has a right to their own stories, to their own histories, or to their own culture, and that America is big enough to be able to accept all of this. I think that’s a fundamental premise on which this country was built.